Mumbai 24 July 2016: Foods plays an important role in your diet that might help to reduce your stress, ease anxiety and fight against depression. Look at the healthy foods to eat to help you boost your mood. How much you earn or how beautiful or good you look nothing can make you happier than a beautiful meal. Everyone want to know how they can improve their mood by eating certain foods? Here is the list of mood boosting foods that you should be eating. 1) Fish: For example Salmon is a great mood boosting food because it has a large portion of the daily amount of selenium required. If we do not get enough of this selenium nutrient it causes an anxiety and unknown irritation. 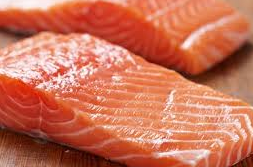 Plus salmon is a great mood booster because it is high in required fatty acids. These fatty acids are commonly used as natural treatments for lower depression and anxiety. Fish is truly a miracle food. Fish has a low calorie and high in protein. Fish does a magic and wonders for your skin and hair. Fish boosts your brain development and has a great source of vitamin D. It prevents heart diseases and also protects against Alzheimers diseases. Fish is also best source of omega 3 fatty acids which is important for your body and brain. Fish help you to lower your risk of heart attacks and strokes. 3) Eggs: Boiled, Poached or scrambled eggs is the best and great way to start your day. Eggs are rich source of protein and amino acids. Yellow yolk found n the eggs have gained a bad reputation lately due to the high cholesterol content. However they do not significantly increase the level of low-density lipoproteins that is LDL thats the bad cholesterol. Eggs are rich in protein, which can make you feel alert and energetic. Eggs are a good source of the important nutrient that is choline. Choline has been shown to have a number of important functions including optimal cell membrane function and neurotransmission and is related to mood and energy levels.It improves your memory and cognitive power. Egg being rich in omega-3 fatty acids, vitamins B12 and D, and choline, eggs are excellent for brain health. Eggs being rich in vitamin B12 improves your mood and keep stress at bay. 4) Whole grains: Eating grain bread helps you in the regulation of glucose level. Whole grain is important things we can do on a daily basis to help to regulate the blood glucose levels which help to keep our energy levels and also our mood. 5) Red Meat: One of the most common causes of tiredness in women aged 24-35 years due to deficiency of iron in the body. You need to consume red meat in small amounts 3 to 4 times each week to get iron that is needed for best energy production. Red Meat plays an important role by providing you iron that the body needed. You must eat sufficient amount of iron to your body. With proper amount of iron your energy will go up thereby improving your mood. 6) Turmeric: Depression is very common in today life because of its hectic life, low support from friends and family and unhealthy lifestyle people in the life find themselves in depression. Turmeric is a herb it have a lot of healing properties which can be used to develop to modern medicines for treatment of a wide range of ailments. The medicinal properties of turmeric are primarily due to the curcuminoid content in it. 7) Green and white teas: Green and white teas come from the same plant that is Camellia Sinensis. White tea leaves can only be picked during the first few days of early spring. Another variety of tea that is Oolong tea is also beneficial for you. Teas plays a role of antioxidants that does wonders for your immunity system. Teas regulate your blood sugar levels, keep you alert and also hydrated. Teas will improve your metabolism and lower your cholesterol levels. And automatically you will feel rejuvenated and fresh. These teas has caffeine along with so many benefits that little bit of caffeine can be forgiven. ability to learn, focus and remember. 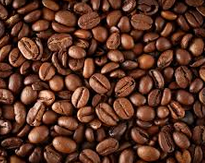 9) Coffee: Most people start their day with a cup of coffee. Coffee has caffeine which helps in starting your body and mind after a nights sleep. The Milk based coffee helps to regulate energy in your body. The higher you have the energy in your body the better your mood will be. Studies shows that individual who drink caffeinated coffee have lower rates of suicide than those who dont it. this is because they have lower rates of severe depression. 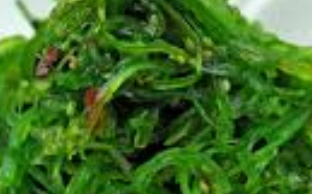 10) Seaweed: Seaweed has a rich source of iodine its the mineral that is needed for optimal thyroid and metabolic function which in turn crucial for energy and mood. Seaweed is good for your digestive health. Seaweed provides you with heart-healthy fats called omega-3 fatty acids. This type of fat helps to raise healthy HDL cholesterol levels, while lowering harmful LDL cholesterol levels. 11) Legumes: Legumes have a brilliant source of complex carbs, protein and fiber, whether you pick kidney beans, soy or borlotti, legumes are highly satiating foods.Legumes nourishes your body and supports your good health. Legumes are a low-fat, high-protein source of vitamins, minerals, antioxidant compounds and dietary fiber. Legumes help to lower the cholesterol levels in the blood and help you to protect you against heart diseases. 12) Spinach: Eating folate-rich foods such as spinach and green leafy vegetables is a sure way to lower homocysteine levels which helps with the flow of blood and nutrients to the brain. You all know that the list of food that are good for uplifting your mood. There are energy drinks that claim to give you instant energy, for uplifting your mood. These energy drinks may give you energy instantly, but there is a side effect. These energy drinks will do harm for your body. Take these mood-boosting foods and stay happy always!